Dr. Tom Deans has delivered more than 500 paid speeches in 14 countries. 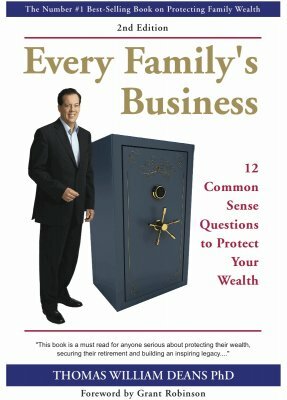 His first book Every Family's Business is the best-selling family business book of-all time. With more than 300,000 copies in circulation it continues to appear in the best sellers lists in both the Unites States and Canada. 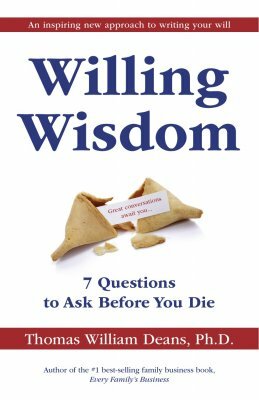 His new book, Willing Wisdom is a sequel to Every Family's Business and helps readers contemplate who and how they will divide their estate. 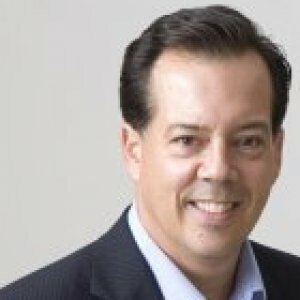 Dr. Tom Deans delivers an inspiring and motivational speech to business owners around the world to explore the business exit plan that’s right for them. Using the process and key messages from his international best-selling book, Every Family’s Business, he shows audiences how to transition the wealth and wisdom of a business to the next generation. His speech addresses the reservation that many business owners feel toward the idea of leaving significant wealth to family. A staggering 50% of people are without wills, another 40% are badly out-dated. The resulting destruction of wealth and family relationships will escalate as baby bombers retire in greater numbers. Dr. Tom Deans shows how and why leading companies are investing resources today to educate employees about the importance of preparing estate plans including the writing of wills. He leaves employees inspired to begin conversations with their own parents and children about the division of assets. It’s a convention speech for the ages. How much money should we leave our children? Does fair mean equal? What are the risks of leaving too much wealth too soon, and will money destroy our children and their will to work? What about those who have no children? What are the implications of leaving all of our money to Charity? As the greatest generation of wealth creators near retirement, reconciling how their estate will be divided is proving both complicated and emotional. Dr. Tom Deans brings his inspiring Willing Wisdom keynote speech to charities and donors around the world. Donors and potential donors learn first hand the joy and satisfaction of planning their legacy gifts in collaboration with family. Described as one of the most powerful and effective donor speeches, the Willing Wisdom Keynote leaves audiences motivated to take action with respect to living purposeful lives by beginning with the end in mind. Wealth management professionals, lawyers and accountant are often baffled when clients refuse to write or up-date their wills. More than 50% of North American adults have no will and an estimated 40% have badly out-dated estate documents. Over the Next 20 years, more than $10 trillion dollars will be inherited. For some, this wealth transfer will be smooth, efficient and bring out the best in family. For other families, this wealth transfer will be shrouded in secrecy.